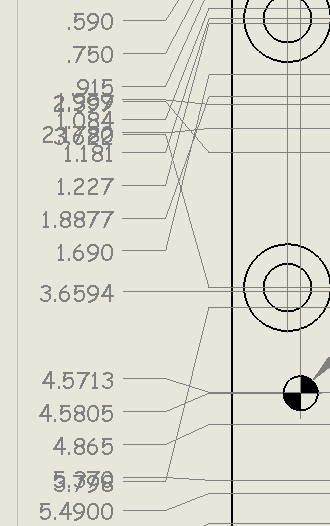 Is there a fast way to fix overlapping dimensions without deleting/recreating them? If there are only a few, just drag them to where they should be. If there are many, you may want to consider having multiple views, or use a larger view scale, or a smaller font, or a Hole Table (my preference). Can you select them all and remove the jog, then add jogs back in?